This is an example for use of 5052 Aluminum. 5052 is the highest strength alloy of the more common non-heat treatable grades. Fatigue strength is higher than most aluminum alloys. In addition, this grade has particulary good resistance to marine atmosphere and salt water corrosion. It has excellent workability and is used for precision cnc machining. It may be drawn or formed into intricate shapes and its slightly greater strenght in the annealed condition minimizes tearing that occurs in 1100 or 3003. The resistance welding characteristics are equal to those of 1100 and 3003. It has excellent finishing characteristics and anodic coatings are bright and clear. 5052 is used in a wide variety of applications from aircraft components to home appliances, marine and transportation industry parts, heavy duty cooking utensils and equipment for bulk processing of food. 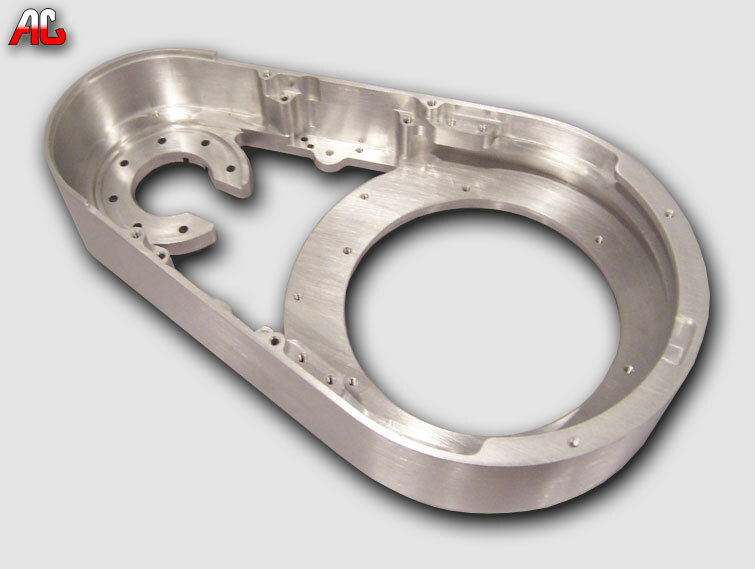 In order to manufacture this part according to a critical customer specifications we first had to rough it out and stress relieve it next. After that it was semi-finished before final machining to hold very close true-position, flatness, perpendiculars and parallelism.